Charter schools: Should North Carolina put the genie back in the bottle? Public Schools First NC wants state lawmakers to reinstate a cap restricting the number of charters allowed to operate in North Carolina. 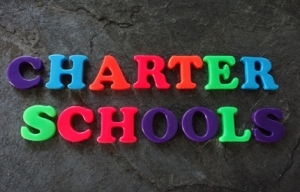 Since the cap was lifted in 2011, the number of charters has grown from 100 to 185. And with more than a dozen in the pipeline, that number will soon grow 200. Public Schools First NC (PSFNC), a statewide nonpartisan organization that focuses on pre-K to 12 issues, thinks 200 charters are unhealthy for North Carolina. Further, PSFNC contends there’s no evidence charters produce better long-term educational outcomes for students. But Rhonda Dillingham, executive director North Carolina Association for Public Charter Schools (NCAPCS), believes the more options for students and parents, the better. “We just want to make sure we’re providing all the opportunities that North Carolina parents deserve,” said Dillingham, noting that there are 50,000 children on charter school waiting lists. PFSNC is asking citizens to sign a petition posted on its website that ask lawmakers to cap the number of charters allowed to operate in the state. Not to be outdone, NCAPCS is asking charter advocates to contact lawmakers to let them know they support North Carolina’s charters. The one thing that’s certain is that the number of charters will continue to increase for the foreseeable future. The state’s 185 charters, including two online schools operating in Durham, serve approximately 101,000 children. And if Dillingham is right about 50,000 children being on the waiting lists of charter schools, it’s going to take a whole lot of signatures on the PFSNC petition to convince the state’s school-choice leaning General Assembly to cap the number of charters doing business in North Carolina.